On the 24th (Sun), discover the deep blue sea with a scuba or snorkeling tour. London, UK to Cairns is an approximately 23.5-hour flight. The time zone difference moving from Greenwich Mean Time (GMT) to Australian Eastern Standard Time (Queensland) (AEST) is 10 hours. Expect warmer temperatures when traveling from London in March; daily highs in Cairns reach 36°C and lows reach 27°C. 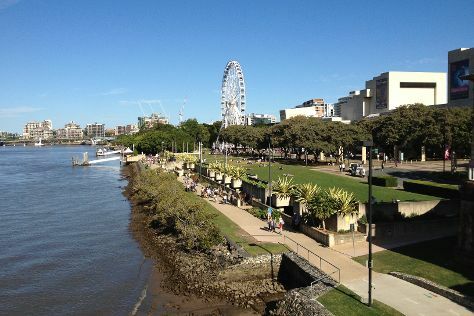 Wrap up your sightseeing on the 24th (Sun) early enough to travel to Brisbane. Kick off your visit on the 25th (Mon): take in nature's colorful creations at Roma Street Parkland and then stroll around South Bank Parklands. To find maps, where to stay, more things to do, and tourist information, you can read our Brisbane day trip planning tool . Fly from Cairns to Brisbane in 5.5 hours. Alternatively, you can do a combination of flight and bus; or drive. In March, Brisbane is little chillier than Cairns - with highs of 32°C and lows of 23°C. Finish up your sightseeing early on the 25th (Mon) so you can travel back home.